SOMETIMES, WHEN YOU know, you know. I walked into the Yumi Kim flagship store in the LES and my mouth dropped. To the floor. I tend to stray from too-girly (the tomboy in me actively shrivels), so I boy’d it with these suede boots. The chains jingle when I walk. Because they were made for walkin'. 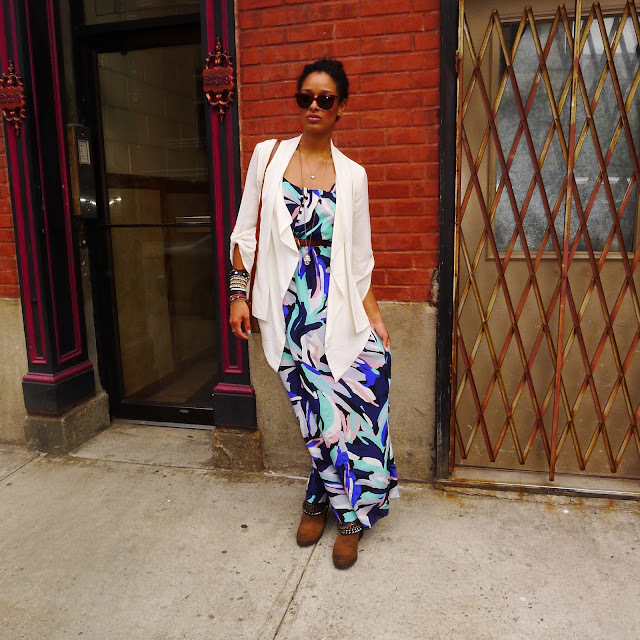 Maxi dresses make me wanna frolic. Especially this crazy print and this muted tone. Aaaand now I'm lusting. And The Skull says HI. Isn't she key-uuute?